I just found a great offer for the current year season. This nice handbags are fashion designs from 2018. There are several models and colours. The new collection of handbags and shoulder bags of Spanish brand for women. The important thing about this, is the fact that all of them are made off synthetic imitation leather with steel fittings. The best fashion handbags at the best price. 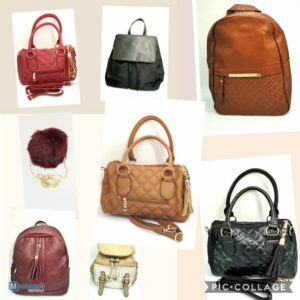 The seller offers 720 different Women’s bags. The minimum order is1 100 garments, and the total stock quantity is 100000 pieces. The seller is eager to discuss with you a discount price if you decide to purchase the whole stock. Most Important – The Wholesaller gives us the option of International delivery so no matter where you life, you will have the option to buy his products. The seller is an import-export company from Spain, he offers a variety of wholesale goods and of course clothing and fashion accessories, so this sounds like a good deal.